Yay! Finally! 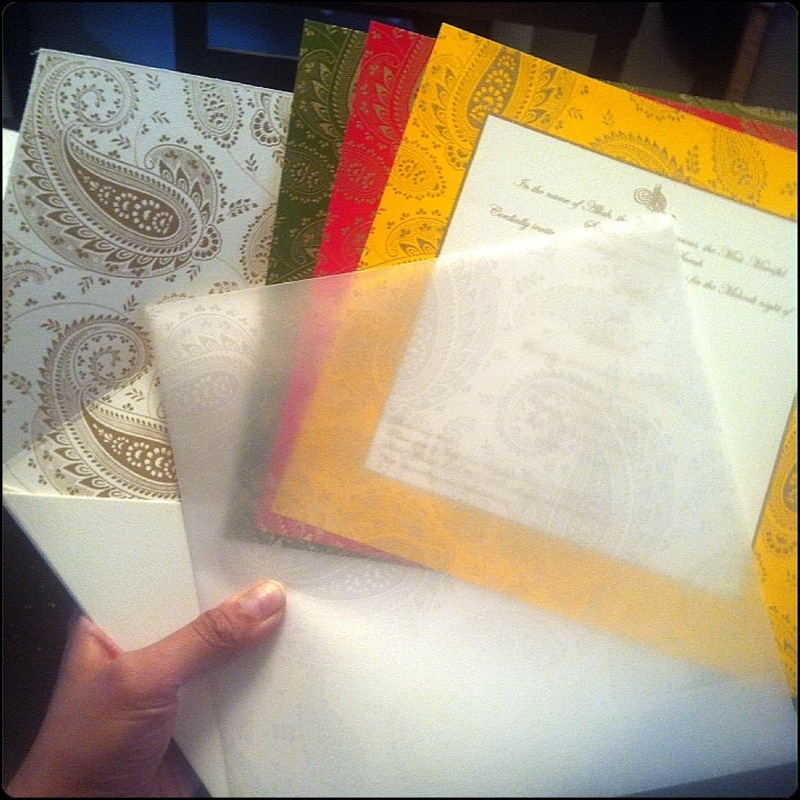 The invitations have arrived! Will be so happy to get these out!!! Previous postFour Months to Go! Hey! 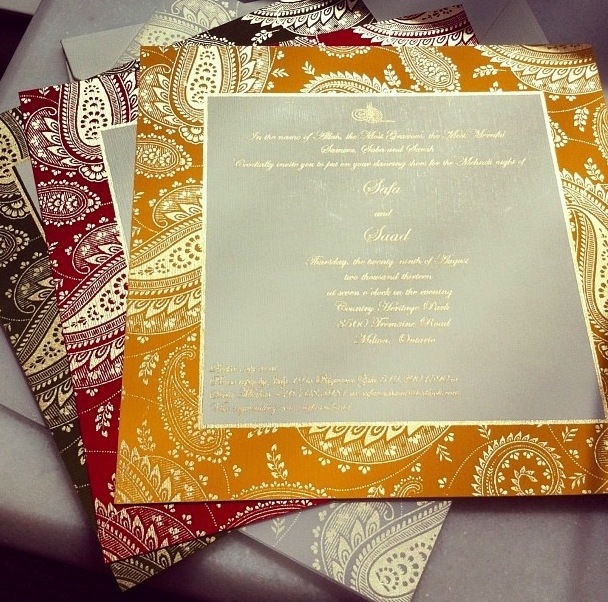 Where did you get your invitations done? They are beautiful. We are doing our own cards and the guys family is doing his. It is just confusing what wording to use since the valima is from his side and shaadi from ours etc. Hi Rehana, sure! I’ll have to track it down but I can do that!! Thanks for this blog! Lots of ideas here! I’m considering buying my cards online too from vendors in India – just wondering if there were any customer service issues with name misspellings, typos or anything like that that I should be mindful of? Hey Rabia sorry for the delay, how did you invitations end up working out?